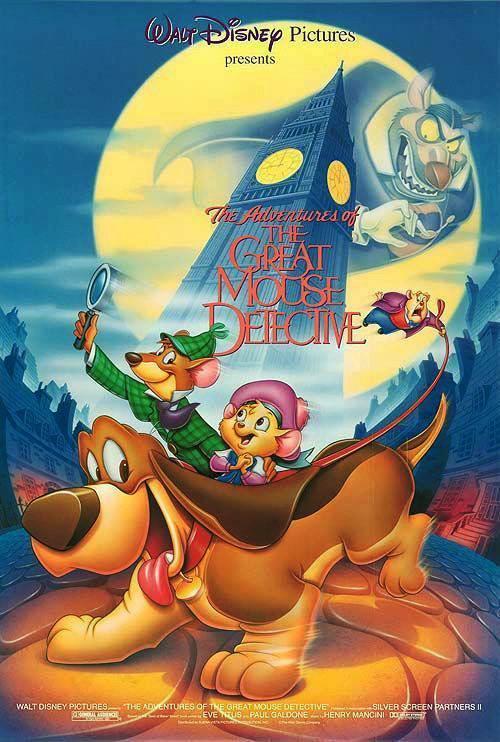 Disney film, about an animated Sherlock Holmes (a mouse called Basil) who clashes with villainous Professor Ratigan. VIOLENCE/GORE 1 - A cat eats a mouse, and some cartoonish violence. DISCUSSION TOPICS - Crime, police work, private sleuths. MESSAGE - Since Basil uses his noggin' to save the day, the basic message is simple: Intelligence triumphs over brawn.